The climate in southern Adelaide has already become hotter and drier. We're experiencing more intense storms, flooding, bushfires and heatwaves and our growing season is changing too. Our best bet is to stop further change by reducing greenhouse gas emissions but we will also need to take steps to adapt to the changes that have already been locked in. If the climate continues to change, we will face serious risks that will become increasingly difficult to manage. This section shows how Resilient South councils are responding and ways that you can get involved. Resilient South councils have mapped the heat of our urban areas to identify the suburbs most at risk. As temperatures continue to rise, there are lots of things we can do to cool our streets, towns and cities. You can find out how heat exposed your property or neighbourhood is by entering your address into the search function of our interactive heat maps. We surveyed our communities about their knowledge, attitudes and behaviours relating to climate change. We learnt that our communities want more support and information about how to prepare and respond. And that's one of the reasons we created this website! Climate Ready Schools is a partnership between NRM Education and Resilient South. We use STEM (science, technology, engineering and maths) and Design Thinking to support schools and students to identify climate change risks and options for adapting. Get in touch to find out how your school can get involved. Check out our projects that help reduce the impact of increased frequency and intensity of heatwaves to create Cool Places. Some actions taken include planting and maintaining vegetation (green infrastructure) and implementing water sensitive urban design. It's official... Trees are awesome! That's why Resilient South councils are planting more trees to keep our towns and suburbs cool and livable. If you think we need to get ready as a community for changes in our climate, you can join our group of Climate Ready Champions. Champions are trained to help people understand how the things we value may be affected by our changing climate, and explore what we can do to take action. Street lighting is the single largest source of greenhouse gas emissions by local government in Australia! To reduce our emissions, Resilient South councils are upgrading to energy efficient LED lights. Resilient South mapped a range of social, environmental and economic data about southern Adelaide, to identify who and what is most vulnerable to the impacts of climate change. We used this information to develop the Resilient South Regional Climate Change Adaptation Plan. You could use it to help prepare your home or business. Southern Adelaide's beautiful beaches are exposed to a wide range of climate related risks that we're working hard to manage. Art meets science in this unique program offering artists with access to Resilient South partner councils’ climate change data and science to interpret through their art. We won the Minister for Health and Wellbeing Excellence in Public Health Award 2018 for this event. If you'd like to run a similar event in your own region or organisation, we have loads of fantastic resources that you're welcome to use. Do you have a great idea for helping prepare your home or community for changes in our climate? Check out the range of community grants and subsidies available from Resilient South partners. If you would you like to learn more about incorporating environmental sustainability into your everyday life, you're in luck! 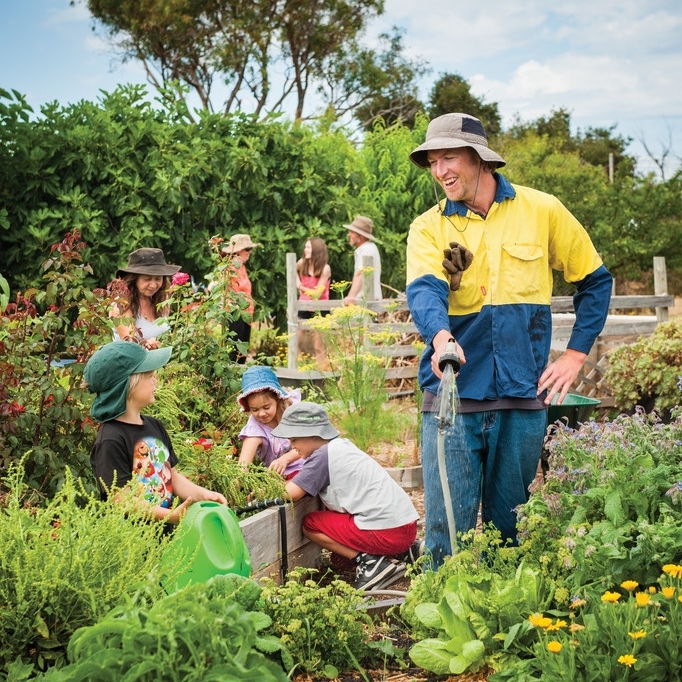 We have a range of amazing community sustainability programs that deliver workshops, newsletters and events filled with practical information and fun activities. Find out how the Resilient South partner councils are getting on the front foot with climate change through clever urban design solutions.